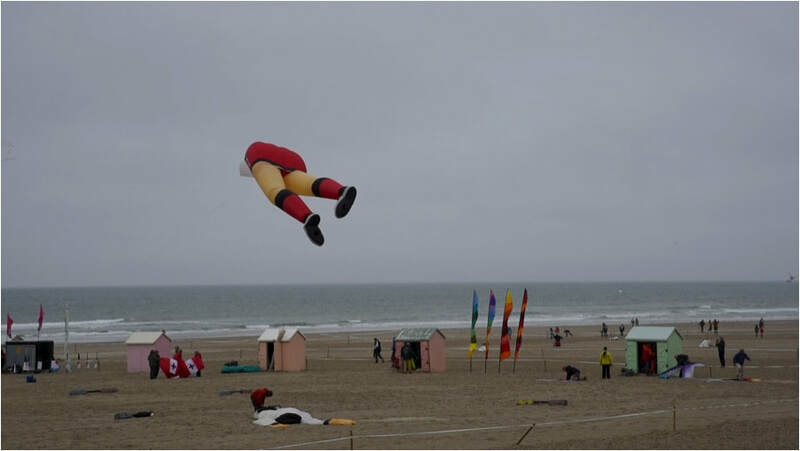 In Berck on the Northern French coast, there is a an annual kite festival. The other thing that Berck is known for is as a site of recuperation for the chronically ill and disabled. This work emphasises the focus on the link between the body and the place at Berck through the depiction of a disembodied kite, free-floating in the sky.